There is some very pleasant and scenic waterfront running near Central. Unfortunately, there is not a seamless waterfront path that goes for a long stretch. 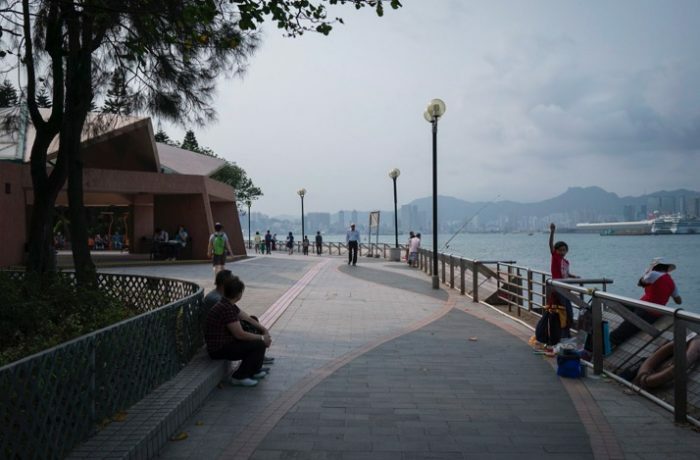 From Central hotels, the best bet is the waterfront path between Sun Ya Tsen Memorial Park, just west of the Macau Ferry, and the Hong Kong Expo Center to the east, about 3 miles one-way. You’ll pass the Hong Kong Maritime Museum, Observation Wheel, Star Ferry terminal and numerous piers, and the Arts Center. At Sun Ya Tsen Memorial Park, there is an indoor public swimming pool. A second section is the Quarry Bay promenade. This path starts just west of the east harbor crossing bridge, and runs for about 1.5 miles east, terminating just past Aldrich Bay Park. There are great views of the bay. Sites include the Sir Alexander Grantham Memorial and the Law Courts. 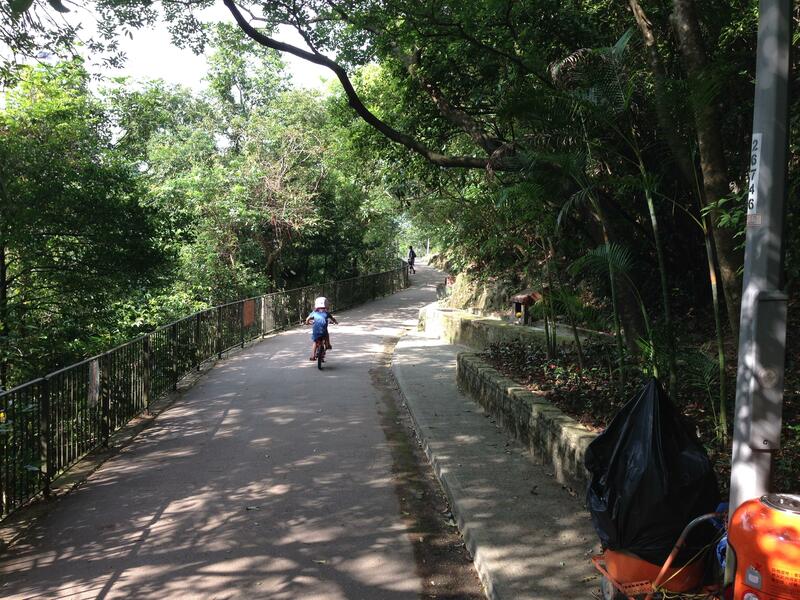 Access on western end of path is Quarry Bay MTR, and Shau Kei Wan to the east. 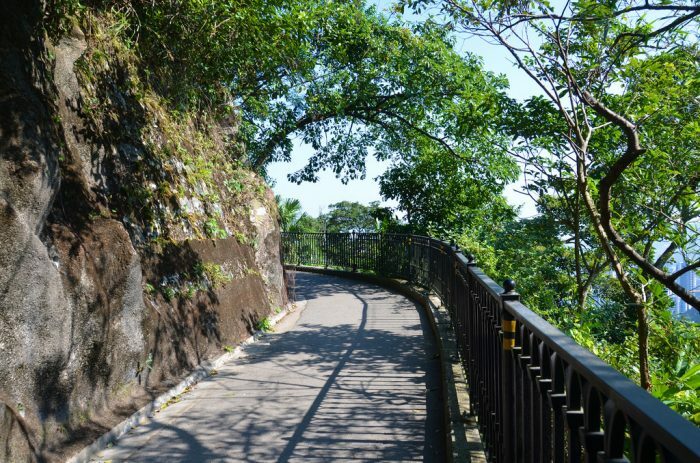 Near Quarry Bay, just south of the MTR station, is a series of trails and paths including the Po Luen Path and Sir Cecil’s Ride. More info.